After several public failures, Congress is no longer attempting to repeal or replace the Affordable Care Act (ACA); however, this has not stopped President Trump from trying to fulfill his campaign promise to end the ACA. President Trump’s recent executive order and his announcement that the federal government will end subsidies for cost-sharing are just two ways the current administration is dismantling the ACA, piece by piece. These recent actions threaten to destabilize ACA and the entire American health care system. The ACA had two primary functions: increase access health care and make health care more affordable. The law went about reaching these goals in a few key ways. First, there was the assumption that health insurance was the gatekeeper to access to care, for without health insurance, the cost of health care would be too burdensome for a majority of Americans. Through the individual mandate, the ACA required all Americans to obtain health insurance. Problem solved — sort of. America’s expenditures on health care is somewhere in the three trillion range. 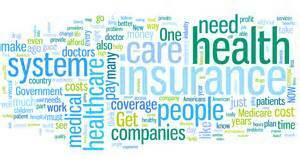 The cost of medical procedures, health care technology and medicines are rising and with it so are insurance premiums. With the cost of health insurance financially beyond the reach of many Americans, mandating everyone have health insurance without providing a way to lower the cost of insurance would be silly. For this reason, the ACA created a marketplace to make it logistically easier purchase health insurance, as well as offered assistance to offset the cost of health insurance premiums on the marketplace for qualifying individuals. In addition, the ACA expanded Medicaid (which was later found unconstitutional, but many states opted to expand Medicaid) to help ensure that those who earn too much to qualify for Medicaid, but cannot afford health insurance on the marketplace, would be covered. Still, the argument has been made that the ACA has failed in fulfilling its goals because health care costs are still rising and many are still without insurance coverage. With Congress failing to act, President Trump signed an executive order and stated the federal government would no longer pay cost-sharing subsidies to insurance companies. Given these recent developments, one might ask: what does this mean for the ACA and American health care more broadly? First, these actions have not repealed the ACA. The immediate impact of the executive order is unclear. Executive orders take several months to implement, as the process of rulemaking—how federal agencies create law—is not a fast process and typically includes a public comment period. The executive order could have a real impact on Americans though. There is a fear that allowing small businesses (and potentially individuals) to join association health plans coupled with the Trump administration considering these groups to be large group plans could mean a return to the types of practices that led to the development of the ACA — lower premiums for healthier individuals, deny coverage to groups and provide less coverage. Another feature would be an increase in short-term plans, which are exactly what they sound like — plans to be used in between life transitions, for example employment status. In addition to not being very robust plans, they also can deny coverage for those with pre-existing conditions. Due to the short-term nature, the ACA did not count these plans as being “covered” for purposes of the individual mandate; however, if people are allowed to renew, and extend this coverage, it is possible they may count as coverage. While this might allow young, healthy individuals to pay less for health insurance, it would leave them in a financially precarious situation if they were found needing serious health care. In addition to the executive order, President Trump stated he would eliminate cost-sharing subsidies. This has the more immediate impact. The cost-sharing subsidies are payments made by the federal government to insurance companies to help insurance companies offer discounted rates for those individuals who qualify. While the insurers are still required to offer these discounted rates, the insurers are left on the hook, since they will not receive the payments expected. This will leave insurers some limited options — first, they could raise premiums to help offset what they will not be paid by the government. Many premiums have already been set, and many were preemptively increased. Since the discounts are legally required, those individuals who are shopping on the marketplace but earn too much to qualify for assistance will also be on the hook. Or, insurance companies can leave the marketplace altogether, leaving entire areas without insurance options. If the Trump administration wanted to enter the American health care system into a full on death spiral, they could stop enforcing the individual mandate, change the requirements for Medicaid thus making many ineligible, and end cost-sharing subsidies. So far, they have only ended the cost-sharing subsidies (but there is hope that the Senate may come to appropriate funds for cost-sharing subsidies for at least two years making this a moot point). So while the ACA remains, it is very clear the Trump administration is willing to pull it apart piece by piece until it comes crashing down.